A high-quality T-PRO BottleCarrier for drinking bottles. The BottleCarrier is made of robust plastic and is therefore very stable, durable, washable and has a sporty, modern design. 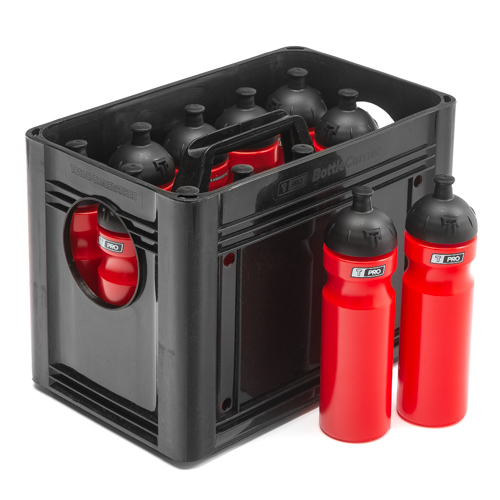 It is ideal for drinks during play or training. The BottleCarrier measures 40 x 25 x 28 cm (LxWxH) and offers space for up to 12 drinking bottles with a maximum diameter of 72 mm. The middle carrying handle and 2 lateral carrying handles facilitate the transport. In addition, the BottleCarrier can be stacked together with the drinking bottles to save space. 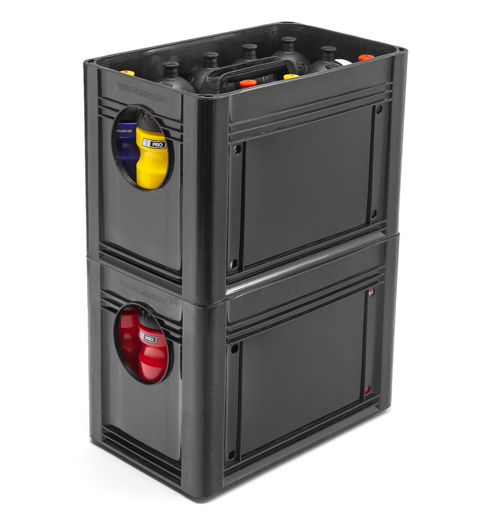 The T-PRO BottleCarrier is supplied in black. It can also be imprinted according to your wishes, e.g. club logo, sponsor, lettering, pictures, advertising etc. and is therefore also an ideal gift for coaches or other employees in your club. 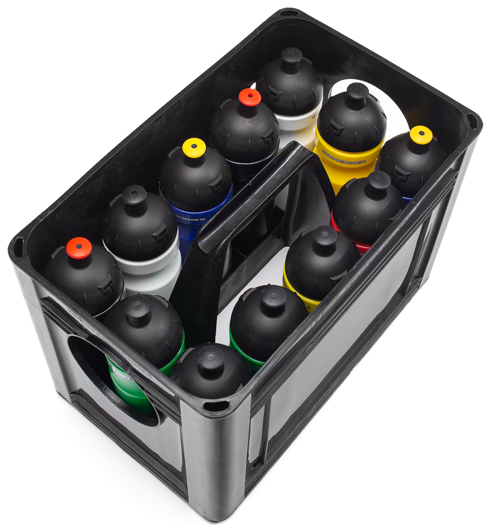 The price refers to one T-PRO BottleCarrier without drinking bottles and without printing! You can order the desired imprint, the matching drinking bottles and other bottle carriers from our shop. Professional trainers use our products, too! Club logo, sponsor, lettering, pictures, advertising etc. are possible on the box.